After four years under a shadow, the UK’s Financial Services Authority is once again being held up as a model financial regulator — both for its principles-based approach to reporting and for its ability to keep banks under its supervision in line. During the 2008 financial crisis, a number of financial regulators, including the Financial Services Authority came under severe criticism for cutting firms too much slack. Four years on, and it seems the FSA is keen to redress public perceptions of its ability to bring the financial services community to task for wrongdoing. What with the Libor-rigging scandal and payment protection insurance mis-selling by UK High Street banks, among other things, the FSA has had plenty of opportunities in recent months to repair the balance, as it were. So much so, that in 2012, the FSA handed down a record-breaking £312 million ($500 million) in fines, most of which was composed of the hefty fines imposed on UBS (£160 million) and Barclays (£59.5 million) for Libor- and Euribor-rigging. Richard Burger, a partner at legal advisory firm RPC, says the Financial Services Authority has gone after much bigger targets—Barclays and UBS are cases in point—that have the ability to pay these heftier fines. For Burger it symbolizes a much more confident FSA that has developed the strong leadership required to bring about some of these more recent victories. So will this relentless pursuit of financial wrongdoing continue in 2013, particularly given that the FSA will be disbanded in April and replaced by the Prudential Regulation Authority and the Financial Conduct Authority? “Enforcement is not going to go away,” says RPC’s Burger. 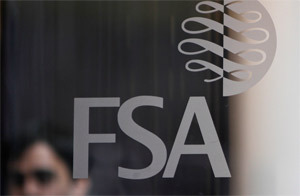 The enforcement team within the FSA, which was responsible for the hefty fines imposed in 2012, is likely to transfer across to the FCA without any difficulty, according to Burger. 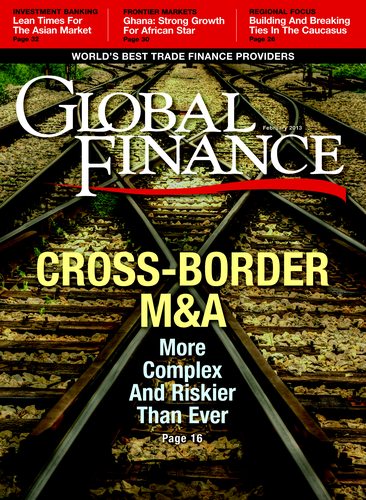 “If the PRA has any enforcement issues, they will probably pull in the talent of the FSA via an outsourcing arrangement or by going to city law firms,” he says.